On Tuesday, March 7, the city of Los Angeles held primary elections for mayor, city council seats, city attorney, city controller and community colleges board of trustees seats. This election, incumbent Curren D. Price Jr. won against his opponents Jorge Nuno and Adriana Cabrera for the District 9 seat on the Los Angeles City Council. As of press time, Councilman Price received 68.12 percent of the vote. Price will serve a five-and-a half year term as the Los Angeles City Council District 9 councilmember. The term will end in 2022. Over 20 elected officials endorsed Councilman Price including California Attorney General Kamala Harris, Congresswoman Diane Watson (Ret. ), Congresswoman Karen Bass, L.A. County Supervisor Mark Ridley –Thomas, L.A. Mayor Eric Garcetti, L.A. City Council President Herb Wesson, L.AA Councilman Marqueece Harris-Dawson, State Senator Holly Mitchell, State Senator Steven Bradford, State Assembly Member Autumn Burke, State Assembly Member Reginald Sawyer and State Assembly Member Sebastian Ridley-Thomas. Price was also endorsed by a number of labor groups, religious and community leaders along with additional groups and organizations. 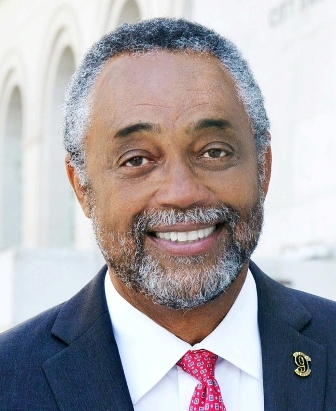 Although Price’s current post as the Los Angeles City Councilman for the “New Ninth” began in 2013, his public service and political career extend as far back as 1993 when he served as a public servant on the Inglewood City Council. In 2006, Price served in the State Legislature both as an assemblymember and as the Chair of the Assembly Committee on Elections and Redistricting and Committee on Governmental Organization. In 2009, Price served as a State Senator where he chaired the Business and Professions Committee. One year later, he was chosen to chair the California Legislative Black Caucus. During his 2017 re-election campaign, district 9 relied on him and saw Price as the ideal candidate to represent and advocate for the community. In his current term as Los Angeles City Councilman, Price made a commitment to help low income families and children. In 2014, Price passed a historic living wage legislation for hotel workers and has made plans to increase the minimum wage to $12 this upcoming July and gradually to $15 by the year 2020 for Los Angeles residents. Throughout his term, Price has focused on affordable healthcare, keeping small businesses, community development, revamping the community, and providing youth with resources. On the Los Angeles City Council, Price serves on the following committees: Chair of the Economic Development, Vice Chair of the Public Works and Gang Reduction, Planning and Land Use Management, Homelessness and Poverty Housing, Arts and Parks Committee and the Ad-Hoc Committees on Immigrant Affairs, Comprehensive Job Creation and the 2024 Summer Olympics. Since the 9th district has been under Councilman Price’s leadership, public parks and community cleanliness have been targeted with the help of more than $40 million invested in recreation and public parks. In regards to cleanliness of the community, Price has led an effort to remove more than 10,000 tons of garbage and has allowed for hundreds of new trash cans. In response to Proposition HHH, Price helped to sponsor the $1.2 billion bond measure to help fight the homelessness crisis. The measure will help build 10,000 housing units and services for homeless women, men, veterans and families.